The Andy Griffith Show—one of the most iconic shows in history—is full of memorable characters like Opie, Aunt Bee, and Barney Fife. The real star of the show, Andy Griffith, had a way of dealing with difficult people. His wit and wisdom allowed him to carefully navigate difficult situations. Andy knew just how to help people see his point of view and could create harmonious situations out of chaotic ones. Andy also knew how to deal with the hardest kinds of people—people most of us would write off. He found ways to help them overcome their shortcomings—all within 30-minute episodes. If you lead a Bible study group long enough, you’re going to run into some people who are hard to disciple. That doesn’t mean you write them off, of course. But it does mean you have to be savvy in how you disciple them, just like the way Andy Griffith was careful in how he dealt with the difficult people he encountered. People who are intellectually proud about spiritual matters have an arrogance that is difficult to get past in a discipling relationship. The Apostle Paul was like this before coming to Christ. He was full of knowledge about the Old Testament, proud of his cultural heritage and education, and he was absolutely convinced he was right in his denouncement of Christianity. It wasn’t until his Damascus Road encounter that his self-assuredness was broken and he became dependent upon Christ to teach him the things he’d overlooked in his arrogant, pre-conversion state. If you’re in a discipling relationship with a Christian who believes they have all the answers and can unlock the deep mysteries of God, you’re going to have a challenge on your hands. This know-it-all disciple can be hard to bring along the road to maturity, but don’t give up. To help this kind of disciple, you’ll want to challenge their false beliefs and incomplete understandings of spiritual things. The best thing you can do for this person is to show them how much they have to learn; help them see the lifetime it will take to even mature a little toward Christ-likeness. One of the best ways to do this is to show them you haven’t arrived yet—and how you’re still discovering new truths about the Bible. Just a few years ago, sociologists began using the term “time-compressed” to describe people’s lifestyles. This observation demonstrates that more and more people run from one situation to the next, in spite of all the time-saving technologies available to us. Urgent matters to tend to crowd out significant things in life that should be the center of our time and attention. Growth as a disciple is partially influenced by the time you spend reading the Bible, praying, serving others, and relating to individuals who have the maturity and wisdom you aspire to have. A time-compressed schedule will always work against a disciple becoming fully mature in Christ. When you have this disciple with difficult circumstances in your group and you seek to help them grow beyond their current circumstances, call attention to their fast-paced lifestyle and sit with them as they review their calendar, helping them find margin in their schedule. Lead them to say no to things in their life that have crowded out “God and me” time. This kind of growing disciple needs accountability. In my experience, this is the hardest kind of person to disciple. While they have a desire to grow in Christ and have begun to practice spiritual disciplines that lead toward maturity, they may not see just how far they have to grow. Although they are Christ’s ambassadors, they don’t fully realize, or care, how their behavior and actions hurt others around them when they fall short of Christ’s standards. A misspoken word, a fit of anger, a coarse joke, or a seemingly indifferent attitude can set them back light years with people they might otherwise influence for Christ. In the case of the myopic disciple, you have to be blunt. It’s far worse to let this disciple go on blindly hurting their opportunities to represent Christ than it is to call their attention to their shortcomings. Yes, there is potential that a discipling relationship might end if they become offended, but the stakes are too serious to let this kind of thing go unchecked. Yes, Andy Griffith had an admirable way of dealing with difficult people and circumstances. He confronted them when he needed to. He backed off when the timing was right. He ultimately found a way to achieve his goal, and the other person was usually better for it. He could step on people’s shoes and not mess up their shine. That’s what I want to do as I lead others to study the Bible and grow as disciples. The one thing I’ll always want to remind myself is this: I am most likely someone’s difficult person, so I must be quick to extend grace for I need it as well. As I go through life I must remember the words of the Apostle Paul who mentored and discipled his younger protégé, Timothy when he said, “The Lord’s servant must not quarrel, but must be gentle to everyone, able to teach, and patient, instructing his opponents with gentleness” (2 Timothy 2:24-25, CSB). Murfreesboro is my hometown. And before I came to Montana, I would have agreed with your article. However, having worked with people in survival mode who have lost the ability for abstract thinking and can only focus on the crisis of the moment, I believe there is a group that is the more difficult to disciple. This group crosses all racial and economic lines. When faced with a life that is just one paycheck away from foreclosure, one argument away from divorce, one mistake away from failure, something happens to the image of God in us. We begin to see ourselves as victims instead of victors, overcome instead of overcoming, temporal instead of eternal. The process, the experience of discipleship is that there is more, not less to life. Jesus never hurried, worried, or scurried. He exercised dominion over all of creation. He was homeless but never without. He could see the big picture in every situation. He was the man who God created man to be. If you are willing to pursue this further, I am available. Personally, I feel we have a gap in our approach to discipleship which cannot be filled with curriculum, education, and economics. Even after dealing with the lack of resources, the mentality, the approach to life, the worldview remains. It is like it is tattooed on their hearts. Thank you for what you are doing. And thank you for your article. What an insightful response. Thank you for your perspective. 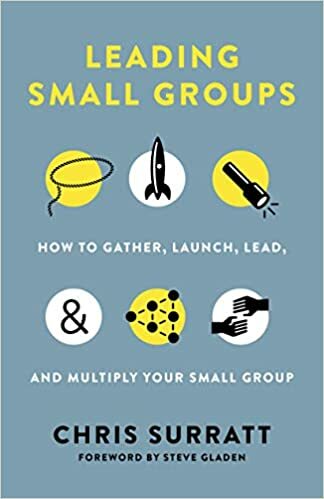 Our church, with a couple of other churches in the area, are just beginning to explore prototypes/models for this kind of all-of-life, long-term discipleship. Pray for us as I will pray for you. Hello Dr. Elrod, would you be willing to post a link to your thesis? Thank you in advance! Here’s an opinion from a nonPHD. I don’t know if grouping is all that important. First and foremost, a relationship has to be established. After that, I feel that I have the right to ask, “How is your life? Are you enjoying it?” If they are not sold out on how great everything is, I get to ask more questions. I get to share my experience in growing with GOD. John Wayne and the Lone Ranger are dead. I really like this article! I must say that I agree with many of the things you bring up on your article! In my experience, the most difficult people for me to disciple has been those who have their needs met and live pretty comfortably. In my perception it appears that these type of church goers see serving God as “optional”. As an inner city pastor, I have a congregation of “survivalist”. Perhaps, there are those who have a “survival” brand “tattooed” to their hearts and can’t shake it. Yet, I have encountered a remnant of survivalist that truly love Jesus, and “keep “pressing toward the mark” even in there struggles. In 2017, our very small church went through a time of change and transition. Interestingly, it was the know-it-alls and busy people who did not stay with us during the transition (kind of like what your article is referring to). Oddly, all the survivalists stayed with us!?! They all told me that they couldn’t imagine themselves anywhere else but with our very small an “insignificant” church. We have one precious sister who is a former drug addict and ex-felon who has HIV. She is unable to get work and is by every definition an “outcast”. She is constantly moving from one apartment to another and is “scraping the bottom of the barrel of life” to just exist. Of her five children, two are in prison (all of them have been in trouble with the law). Yet, this precious sister has committed herself to our church and is discipling drug addicts through AA! We have another family where the patriarch was also a drug addict and spent many years in prison. I was able to help him find a job; yet he and his wife live paycheck to paycheck. Both have serious health issues ranging from diabetes, to hyper tension to high blood pressure (the patriarch is in the hospital now for blood clots). Their children seem to be going the same way; one of the daughters is homeless; another deals with mental illness. One son is incarcerated and another died from a brain tumor. Despite these very significant life issues, this family continues to “seek the Lord” and are very active in our church. We have another precious sister who was molested and abused most of her childhood. She was so impacted by the abuse that she often swallowed spoons; she needed surgery to remove the spoons. She was also told by doctors that she would never have children. When she became a member of our church in 2008, she never looked me in the eye when I talked to her due to her negative experiences with men; she was a wandering who moved from place to place. Today, she is married and has four children! She leads our very small youth ministry and also dances! The one thing that they all tell us (my wife and I) is that they feel loved by their church family and by God; it was and is love that lifted them. Yet, as pastors, I have to be a willing vessel that God can use to love through. We have them over our house and hang out with them as often as possible. As we hang out with them, we talk with them and pray with them. We don’t have a formulaic approach to working with these precious people; we just treat them how we want to be treated. If they need a ride to church, we pick them up. If they are missing from church, we call them and go over their houses (if they have one). We visit them in homeless shelters and prison. We have rented our personal property at a price they can afford. If they don’t want to be bothered, we are patient and wait for them to change their minds (which they do often). We treat them like they are family. Many times, ministry to these individuals has gotten really “difficult” and “messy”. However, God would not let us (my wife and I) just walk away. He always reminds us that they are His precious flock and that we need to be patient with them as He is with us! Our church does not have the ability to have discipleship programs or any programs for that matter; we are small in number and resources. . Yet, our method of discipleship boils down to this; “and they will know you by the love you have for each other”. God’s love can lift anyone from any circumstance. God’s love can and does change the heart; I see it every time I see these believers. Where I am challenged at is my patience and willingness to commit to discipling individuals for the “long haul”. If I can hang in there and be patient while God is at work, I often see God do miraculous things with the most difficult people. May God continue to give you more and more insight as you write these much needed articles!